Would The NFL Be Better If So Many Owners Hadn't Inherited Their Teams? The NFL is going through a rough spot. From the controversy over players taking a knee during the National Anthem, to the threat of repeated concussions causing CTE, to the violence problem many players have… viewers are turning away from the NFL in droves. I used to be a sportswriter and wrote a popular football website for YEARS. Now, I barely watch. My brother turned away from the NFL. Many friends have reduced or stopped watching at all. And I got to wondering why. The NFL still produces the most popular spectator sport around, but it declined 10% in viewership last year and is dealing with questions about how the game destroys players while it earns billions of dollars. A sport once considered a source of national unity now inspires divisions. The NFL is a billionaire boys club (largely). The 32 owners of NFL teams refer to themselves as "The Membership." Snooty much? The NFL takes itself too seriously and doesn't have a sense of humor. The NFL, and by NFL I mean the collective group of owners, is rigid—it reacts rather than strategically plans. And once again, I got to wondering why that is. Look at the ownership as a whole. For every Shahid Khan—an immigrant who came to the U.S. as a college student with no money and worked his way to his billionaire status, there's a Virginia Halas McCaskey or Martha Ford or Jed York who inherited their teams—teams that have been in the family for decades. Teams that are treated more like a trust than a business. The Ford family bought the Detroit Lions in 1963. Since that time, the beleaguered franchise has won exactly one post season game. Now look at the NBA as a whole. Owners of NBA franchises, by and large, are businessmen. 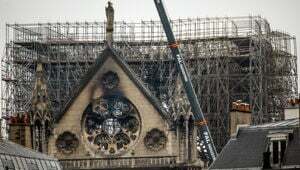 Several come from technology. They've proven their mettle in professions that require intellect and flexibility—Paul Allen, Steve Ballmer, Mark Cuban—all came to the NBA from successful careers in tech. Dan Gilbert, Mikhail Prokhorov, Tilman Fertitta, Micky Arison, Ted Leonosis—these are just a handful of NBA owners with solid backgrounds in business. Would the NFL be in better shape today—better equipped to deal with the changing times—if all of their owners (or even most) had successful careers before buying their NFL franchise? Would the NFL be better if all the owners earned their teams instead of inheriting them? Let's take a look at the 10 teams that were inherited by their current owners. There are also a number of other teams bought with money made in previous generations. Bidwill inherited the Cardinals from his father, Charles. Charles was a wealthy Chicago lawyer believed to be connected to Al Capone. She inherited the team from her father, George Halas. He founded the team. Mike Brown took over the Bengals after his father's death in 1991. Mike Brown's father, Paul Brown, was the namesake and first coach of the Cleveland Browns. He went on to co-found and own the Bengals before leaving the team to his son. She inherited the team from her late husband William Clay Ford, Sr., who bought the Detroit Lions in 1963 for $4.5 million. Since buying the team, Ford's Lions have won exactly one playoff game. Bill's grandfather was Henry Ford. He inherited the team from his father Robert, who bought the Los Angeles Rams for $19 million before trading franchises with Carroll Rosenbloom for the Baltimore Colts. Irsay also infamously moved the Colts out of Baltimore in the middle of the night in 1984 via a fleet of moving trucks. The Chiefs have been in the Hunt family since the team's inception in the AFL. Clark Hunt is the grandchild of oil tycoon H.L. Hunt, who was rumored to have been the inspiration for J.R. Ewing on Dallas. H.L's son (and Clark's father) Lamar was a co-founder of the American Football League. He's also the person who coined the term "Super Bowl." Clark inherited the Chiefs when his father died. The Maras' fortune started with the Giants' original owner, Tim Mara. Tim was a bookkeeper in the horse racing circuit and bought the Giants for $500 in 1925. 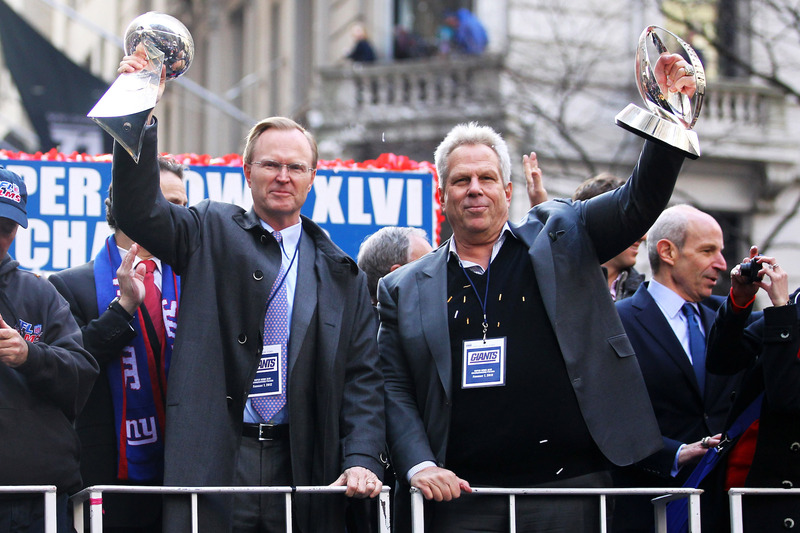 Steve Tisch inherited his part-ownership of the Giants from his father, Bob Tisch, a former postmaster general and co-owner of the Loews Corporation. Mark Davis and his mother, Carol, inherited a controlling interest in the Raiders from Mark's father, Al. The elder Davis began as a coach and general manager of the Raiders before becoming the team's owner. Dan Rooney inherited the Steelers from his father. Legend says that Art Rooney, Dan's father, got the $2500 needed to purchase Pittsburgh an NFL franchise in 1933 after he won a parlay at the horse track. Jed York inherited the 49ers from his uncle, Edward DeBartolo Jr., who was the 49ers remarkably successful owner for 23 years.